Bangkok’s gay bars are almost exclusively found in the Silom district around Silom and Surawong roads. 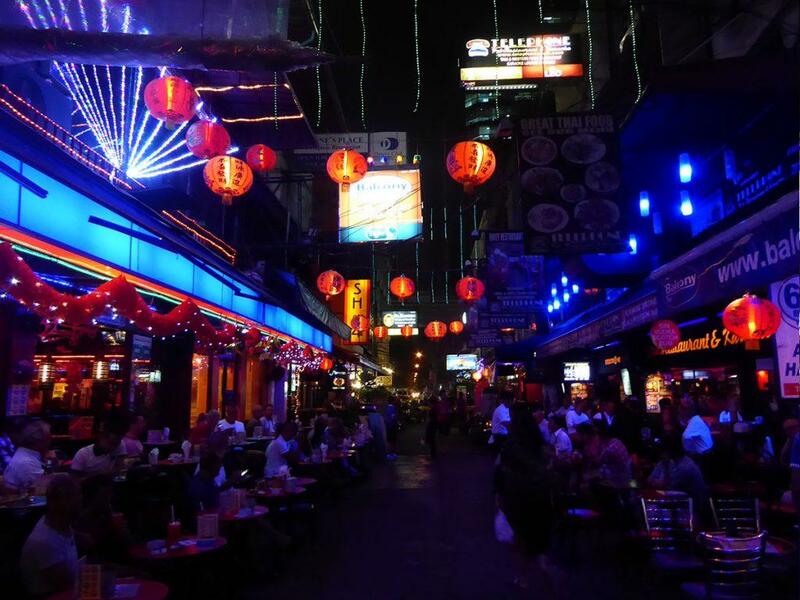 Silom Soi 4 is the hotspot along with Soi Twilight. Silom Soi 4 is an alley full of gay pubs, bars, and restaurants located off Silom Road in central Bangkok. The atmosphere is friendly and the crowd is a mixture of locals, expats, and tourists of all sexes. All of the bars have indoor seating and street side terraces, most have food menus, some have live music, DJ’s or shows and are open until 02.00. The most famous bar is Telephone which is still going strong after 30 years. Telephone Bar has indoor and outdoor seating, a 3rd-floor karaoke lounge, good food and a daily happy hour from 17.00-21.30. One of the most popular bars is Balcony which has indoor & outdoor seating on both sides of the street, an upstairs bar with a street view, karaoke, live sport on TV, a popular restaurant and a daily happy hour from 17.00-20.00. Stranger bar is a New York style gay bar and has drag shows every Monday, Wednesday and Friday evening. For Sports bar has live sport on the big screen and a music jukebox while G’s is a German bar with German & Thai food as well as a good selection of German beers. Other places nearby include Silom Soi 2 which is home to Bangkok’s well known gay dance clubs including the famous DJ Station. Just around the corner is Soi Twilight which is located off Surawongse road. It has more bars as well as several go-go bars with nightly exotic shows. Tawan Bar is a go-go and lounge on Silom Soi 6 and has muscle men shows nightly at 22.30 & 00.30. Location: Silom Road Soi 4, Soi 2, Soi 6, Soi Twilight. Getting There: BTS Sala Daeng Station(exit 3). MRT Si Lom Station(exit 2).